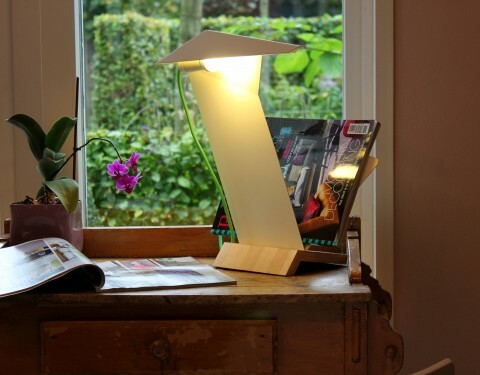 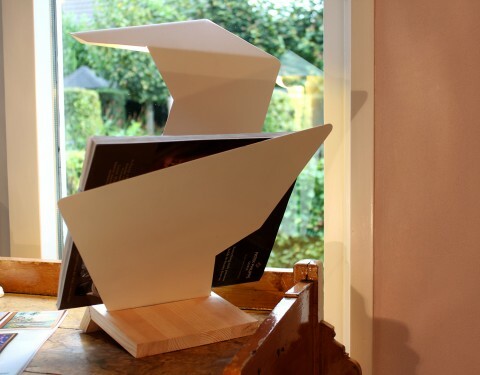 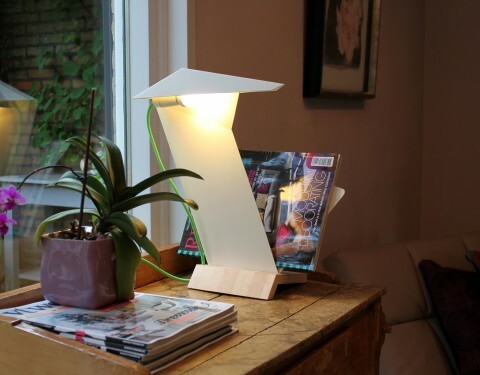 The lamp, called ‘Het Zwaantje’ (The Cygnet) was originally designed for the HEMA design contest 2013. 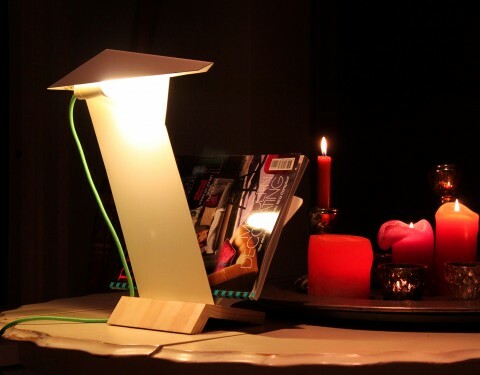 The purpose of the lamp is not only to light your desk, but also to organize the desk. 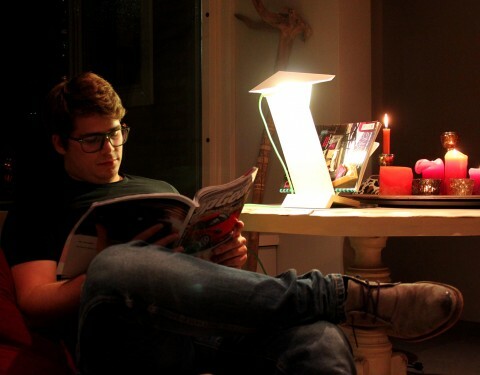 There is room to organize papers/magazines and writing gear. 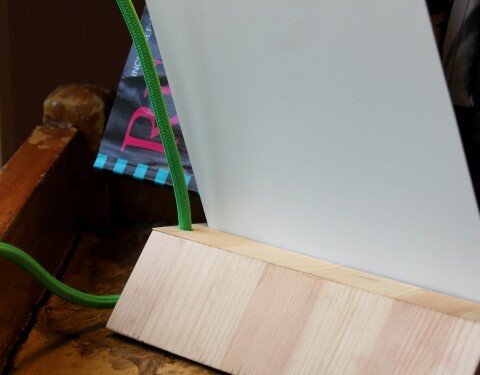 You can also put some notes and photographs on the side. 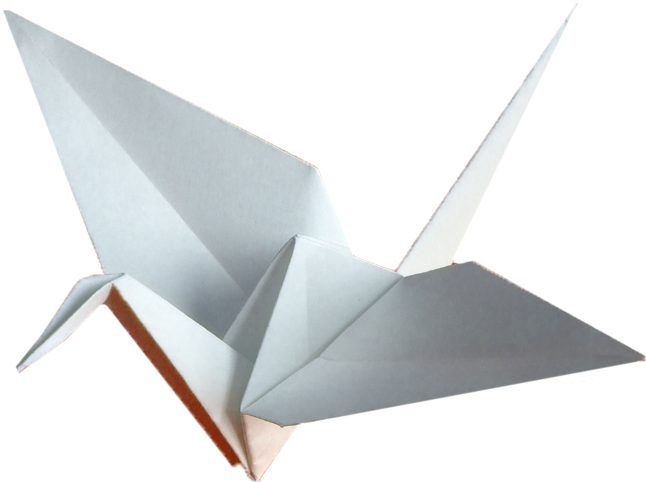 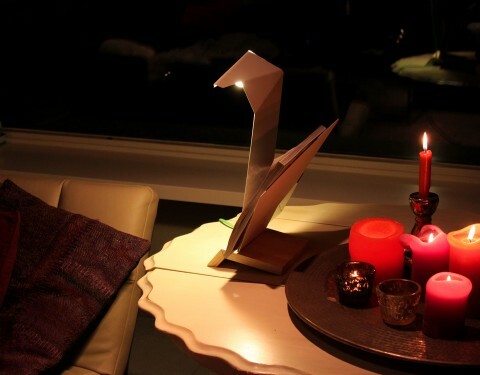 The excentric shape of the lamp, inspired by the paper-art Origami, is supposed to stimulate creativity on the desk. 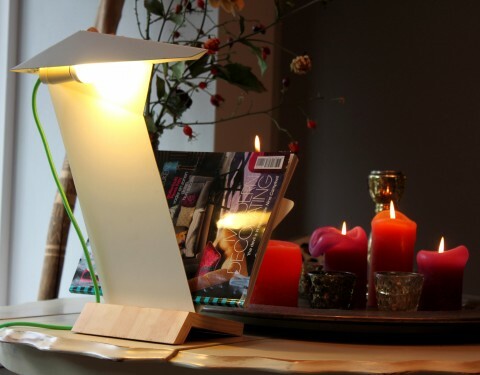 The lamp has many sights from different angles wich results into a dynamic design that encourage you be creative.